West Bengal Police Recruitment Department is inviting applications to fill 8419 Police Constable Positions (Male). Interested and eligible candidates are advised to read the notification carefully and apply by clicking the link provided at the end of this post on or before March 5, 2019. Rs. 5,400 – 25,200/- (i.e. Pay Band – 2) + Grade Pay Rs. 2,600/-. The Upper – age limit shall be relaxed for the SC/ST candidates of West Bengal only by 05 (five) years and OBC candidates of West Bengal only by 03 (three) years. The upper age limit is also relax-able for the Ex – servicemen, NVF and Home Guards Personnel (serving in West Bengal Police only) as per existing Government Rules. However, Age relaxation is NOT available to Civic Volunteers. The applicant must have passed Madhyamik Examination from the West Bengal Board of Secondary Education or its equivalent. For the applicant of hill sub-divisions of Darjeeling and Kalimpong District, the provisions laid down in the West Bengal Official Language Act, 1961 will be applicable. WB Police Job 2019 – How to Apply? Applicants will be able to submit West Bengal Police Constable Recruitment application using the website www.policewb.gov.in by filling up their information including scanned photograph and signature. Selection will be made based on following procedures. Question paper will be set in two languages (Bengali & Nepali). The marks obtained by a candidate in the preliminary written test will not be considered for preparing final merit list. Note :- There will be NEGATIVE marking ¼th for each wrong answer. This test will be of qualifying in nature. PET consists of 1600 (Sixteen hundred) meters run within 06 (six) minutes 30 (thirty) seconds. PET are also qualifying in nature. Note: Question paper will be set in two languages (Bengali & Nepali) except questions on English language. There will be NEGATIVE marking ¼th for each wrong answer. In the Interview, the General Awareness and Suitability of the candidate for the Public Service will be tested. Final Merit List: Final Merit list will be created on the basis of the marks obtained in the Final Written Examination and the Interview, a Merit List of the provisionally selected candidates will be prepared by the West Bengal Police Recruitment Board. 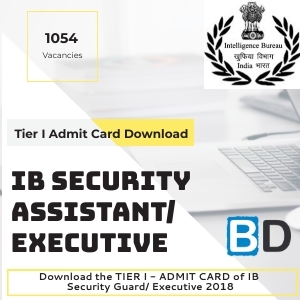 WB Police Job 2019 - How to Apply?